Very fine traditional script monogram letter accented with curled embroidered accents. 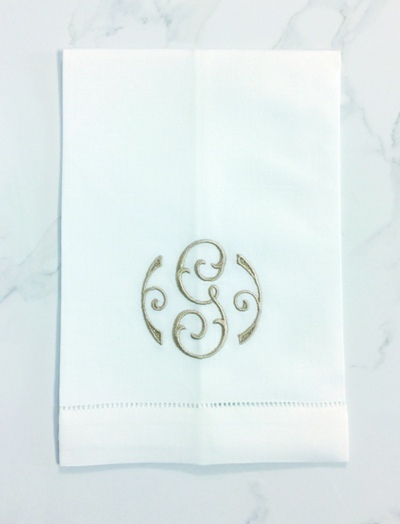 Beautiful monogrammed in all one color, or select an coordinating color for the side accents. Guest towel pairs & sets arrive in our Signature Gift Box with ribbon.